Anthony ‘AJ’ Joiner is a Dad, Husband, and the founder Artisan Worx, Atlanta’s premier boutique Digital Marketing Agency. He and his staff have created digital marketing and growth hacking strategies for many of the top corporations, influencers and thought leaders in the country. His clientele ranges from State & Federal Government (Centers for Disease Control, and the Department of Human Resources, Hartsfield International Airport, Atlanta City Hall), to Politicians, Actors, Radio & TV personalities on Radio One & TV One,to industry leading entrepreneurs, thought leaders, authors and brick & mortar businesses. 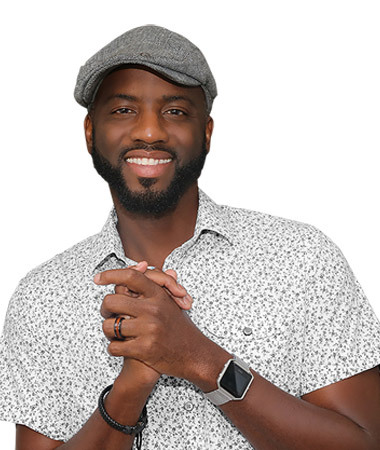 He facilitates a marketing segment on the nationally syndicated Willie Moore Jr. Show which reaches over a million listeners in 20+ markets, and is author of 5 books (3 Best-Sellers). He’s currently in negotiations with a major publisher for his 6th best-seller, which uncovers with the science of persuasion and human decision making – aptly named: Cartwheels – A Fun and Effective Way to Get Anyone from Maybe to Yes, Please! Prior to launching his agency, he spent 20 years in the cubicle wild-wild west we all know as Corporate America as a Software Project Manager & Technology Solutions Architect &Senior Business Systems Analyst – while moonlighting as an experiential event marketer, writer and small business consultant.